VISITING the peaceful, picturesque Pyrenean village of Laspaúles, it’s hard to imagine that in 1593 it was a scene of fear, terror and suspicion, culminating in the hanging of 22 young women for witchcraft. High up in the Spanish Pyrenees, today Laspaúles is a sleepy village with a handful of bars, a campsite and the occasional mountain dog taking itself for a stroll. The perfect spot for a quiet weekend away, as we did this year in June. But turn the clock back 400 or so years and the scene would have been one of a bustling village with farmers working the land, attending their animals and women going about their chores. But suddenly, in the spring of 1593 the calm routine of village life was shattered by accusations of sorcery and witchcraft. In 1986 village priest of Laspaúles, Domingo Subías discovered 1200 documents while cleaning the belfry of his church, among which was one particular manuscript documenting the conviction and execution of the young women. The document, studied by the University of Heidelberg in Germany, explains how between 19th February and 29th April 1593, 28 women from Laspaúles and neighbouring villages were accused of witchcraft, resulting in the execution of some 22. “It was probably the only place in the world where this happened; even in Salem, with their famous witch trials, they executed 19 people in one year. In Laspaúles it was 22 women in two months” said Subías. To remember the lives of those innocent women a ‘park’ has been set up in woods on a nearby hill where it is believed the hangings took place, listing the names of all 22 women. 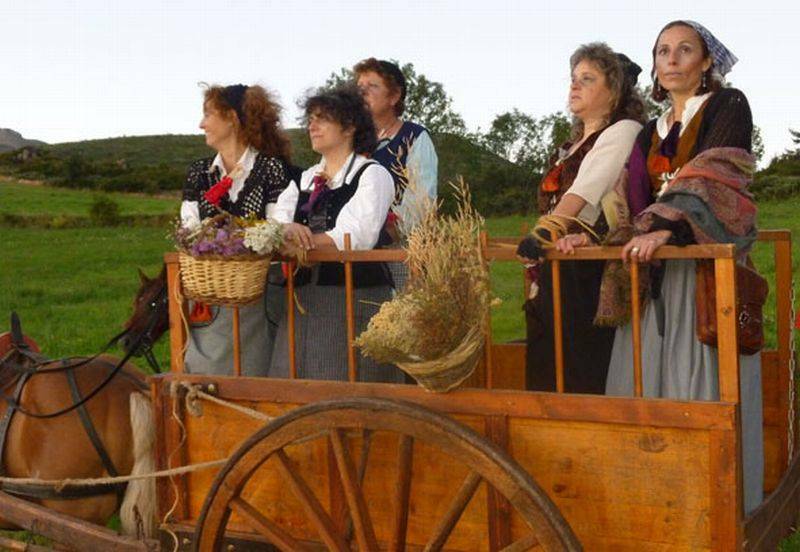 Every two years in April the village also reenacts a play about the events of 1593. And there is a Museum of Torture, boasting some 60 instruments of the kind which would have been used to punish the ‘witches’. We stayed at Apartamentos Casa Chaundervera, beautifully refurbished stone farm buildings which were clean, comfortable and peaceful. The owners could also not have been more hospitable.